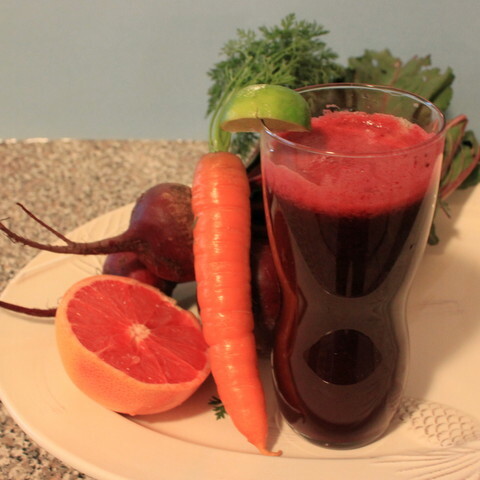 Beet-Carrot-Fruit Juice With a Zing! 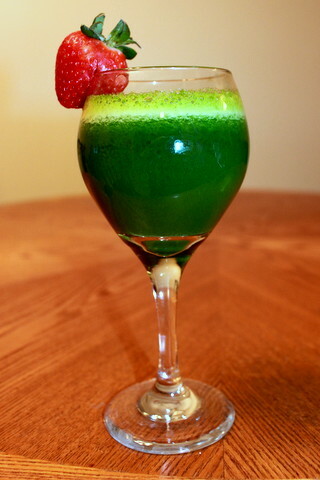 Juicing has been on my radar since the documentary “Fat, Sick, and Nearly Dead” came out. Since I had only tried V8 canned tomato juice, which I had to drink holding my nose closed, I was not too thrilled initially. However, after hearing the positive news around juicing and finding a great deal on a multi-functioning juicer, I couldn’t say no. Once I got the juicer and learned how easy it was, things took off from there! I know eating fruits and veggies is good for me, but I have been wary of the too-good-to-be-true health claims of people who really push juicing. So I decided to look into it. According to sources such as WebMD, juicing is beneficial in the sense that it’s an easier way to consume more servings of fruits and veggies, and thus get more nutrients from these sources. However, the downside is that the fiber gets removed in the juicing process. The WebMD article mentions an individual who uses the pulp (a.k.a., the fiber) left over after juicing to make muffins or stock. I always feel wasteful discarding that, so that is something I will look into. In addition, there have not been any scientifically proven “cleansing” benefits of juicing because our liver and kidneys already already take care of removing toxins. Nevertheless, an internet search will yield lots of results of individuals claiming that once they began juicing, their skin was glowing, they were told they looked younger, and health problems went away. I personally wonder if this is due to juicing, or because juicing resulted in a change to a healthier diet. Clean and cut all vegetables to the size required by your juicer. Follow juicer instructions to get the juice. So I know that the research doesn’t prove any additional health claims to juicing – besides getting the nutrients – but I feel energized and healthy after drinking a tall glass of these nutrients! Even if it’s the placebo effect, it can’t hurt. I will continue drinking to my health!